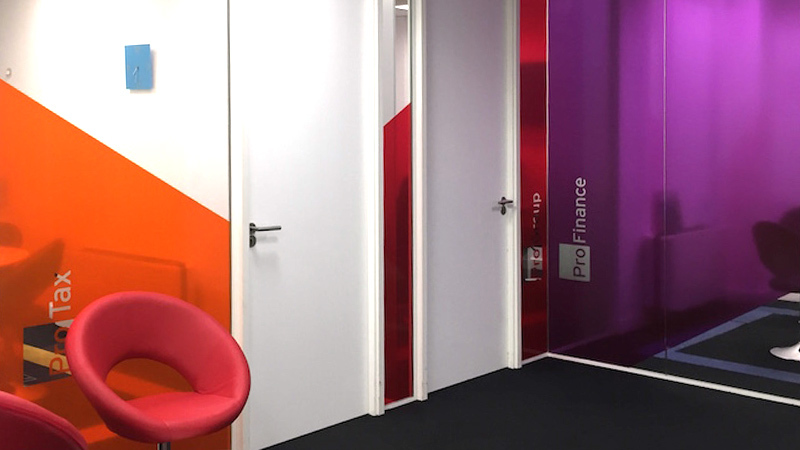 Pro Recruitment are leading recruitment specialists for Tax, Finance and Legal careers and needed a identity rebrand to match their market position and internal culture. The logo concept had to work as a family to include each speciality area. After interviewing key stakeholders to discover the ethos of Pro Recruitment, initial ideation and sketching began and resulted in selecting a route to refine. PRO contained in a box was a simple yet clear system that we could build the family around. The colours previously used for the speciality areas were refined to be brighter and work together rather than reinvented. Using bright colour looks great on the web but extra tweaking was needed to make sure the specification for print colours worked just as well. Finally we added a graphic curve to add interest and depth to the simple box which can be used outside the logo as an additional brand element. The PRO curve was also designed to represent a positive trend or career acceleration and can be used outside the logo to break up a page or even for the bold window treatments we’ve designed throughout the office space. 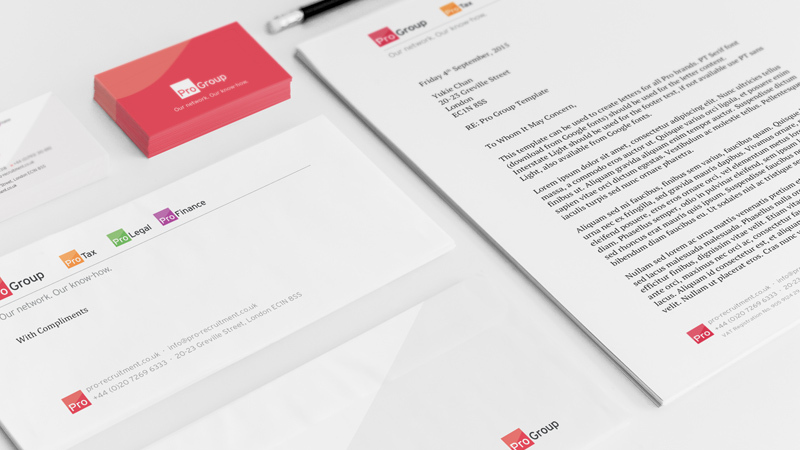 The new identity has succeeded in modernising the Pro brand as a distinct and bold family. The brand elements can easily be used and scaled for print, web and mobile environments in a consistent manner, which we feel is now essential for brands. Flexible analytical tool mapping UK business data.